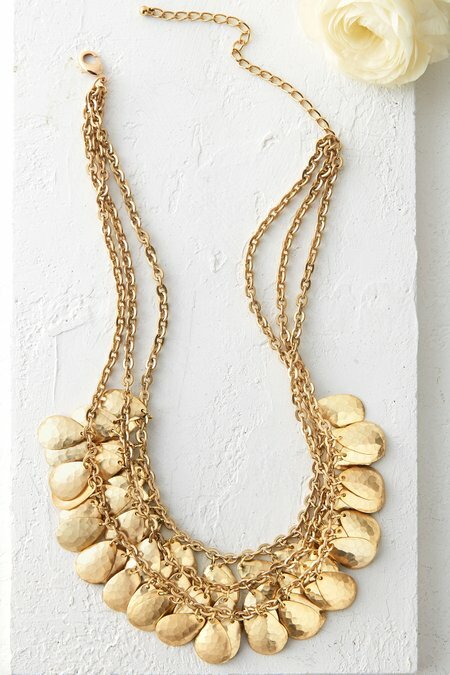 Luxe layers of glimmering gold metallic teardrops cascade from cable chains in this lavish necklace. Each is hammered for texture, dimension and maximum reflection. Dresses up jeans and a tee or a date-night look.